I love gadgets. Any type of mechanical or electronic device is something that I have always been fascinated by. Ever since our first Gateway compute about 20 years ago, I have loved all of the newest gizmos that have become a part of our life. 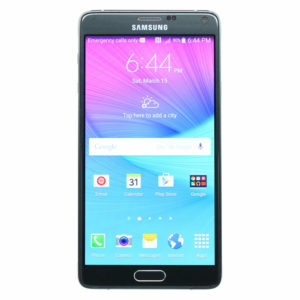 I have had 4 phones, now the the best one yet, my galaxy Note 4, I can do just about anything on this one, I can just about run my entire business from a device that fits into my pocket. It is amazing how far things have come since I was a kid( I am 58, born in 1959).I go back to black and white TV’s with just a few channels. This new phone is something that I could not have imagined when I was a kid watching Star Trek or Batman with all of those cool gadgets. The idea of talking on a phone that you carried around with you was something that was pure science fiction to me back in my younger days. Over the past 3-4 years I have been wearing a $50 Timex Explorer Analog/Digital watch. It does everything that I need in my everyday life, It tells time accurately, and is easy to read!! 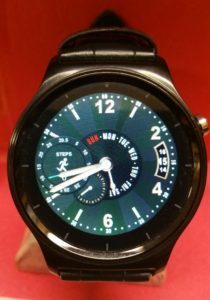 Now lets fast forward to 2016 and the cheap Smart watches that are on the market. For a watch nut like me and someone who loves the latest toy, I just had to have one of these babies for my collection. I found a $50 watch from a company in China (where else?) and ordered it. In 6 days it was here and ready to go. 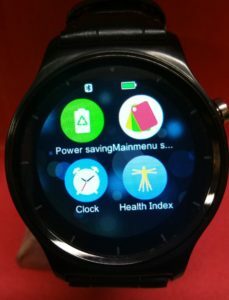 From Here on I will compare the smartwatch with my Timex and my phone and give you the final verdict on this new gadget. 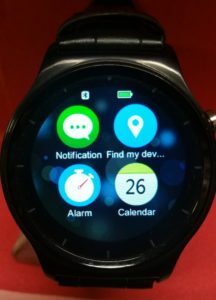 All of the functions of the watch are fine, but All of them are already done on my phone. My phone gives me notifications when I get an email or text. 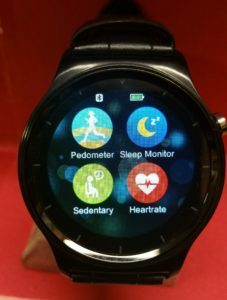 It tells the time, has an alarm, exercise monitor, gives me the weather, can check my heart rate, has a phone log, calendar, plays my music, has a great camera. So after a week of wearing the smart watch, I started to realize that this “gadget” is doing all of the same things that my watch and phone already do, so why am I wearing it?? It needs to be charged everyday, I have to move my wrist just the right way for it to turn on to check the time and now I have two gadgets “beeping” at me when I get an email. So after a week of playing with my new gadget, it is back on the shelf collecting dust. I am back to my trusty Timex that just goes about its business and tells me what time it is! Totally agree. Simple things are often the best things in life. I run my consulting business from my auto and airplane seat using my I pad, Laptop, and Iphone. My best times are when I am in the country with no service. listening to the coyotes, quail, and the night. Hahahaha. I hate new gadgets. Give me a watch made out of stone. 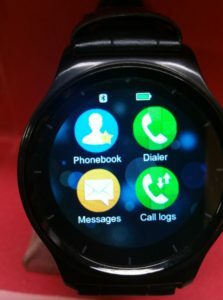 why wear a watch at all the phone does everything? I’m also not a fan of do-everything cell phones. Aside from having a single point of failure (lose your phone and you are totally screwed – that’s a technical term), all I want to do on my phone is talk and listen. I don’t want to play flight simulator, I have a real airplane. I don’t need a GPS, I can read a map. I know my heart is in good shape, I’m alive. I’m not a technophobe by any means – my office makes the bridge of the Enterprise look under-equipped. “Because I can” isn’t a sufficient justification for forcing any item of tech do something which can be done better with something else. Further, a decent watch can be a heirloom . . . what kind of moron leaves an eight-track player to his heirs? I wear the same watch. My old eyes can read the time easily. I don’t care if it gets damaged or wet and I can set ZULU time on the digital display. When I’m flying I’m frequently having to convert from UTC to the local time. It’s a lot easier to let my watch handle that. There are a couple of failure points with this watch I don’t like. The large setting knob has accidentally been pulled out numerous times causing the analog time displayed to be wrong. On three of these watches the knob has broken off the stem, and all of the watchbands have failed. The rotating bezel also doesn’t hold its position well. That said, the watch is cheap, lightweight and does what I need it to do. It usually comes off when I go out so I can wear one of my more interesting watches. All the latest is fine but I find watching my tissot seastar and omega seamaster eta work that’s amazing to me.good blog mark ,sometimes old engineering cannot be topped. I find it interesting that a guy like you who earns his living repairing and servicing high end watches like Omega & Rolex would admit that he wears a Timex on a daily basis. 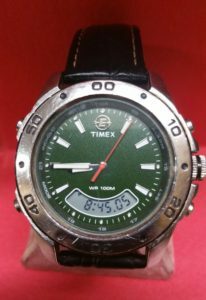 Interesting that the real market covers so many brands of watch such as Timex and Casio. I wonder do you have any idea of the size of annual sales and who is the largest in both volume and sales. Are the Swiss still the leaders or would it be China or Japan? I enjoyed the post! Thanks.Sometimes I think “Hey I do not need my watch, my cell has a clock”.But then the thought fades away.I even have one of those watch tans….white ring around my wrist.lol. Keep the post coming,I read them! My old watches are a link to memories of the past. I am wearing Uncle Bill’s World War II Rolex. I wound my father’s Korean War mechanical alarm watch this morning and will wear it tonight. This was my way of celebrating Veterans’ Day in a personal meaningful way, remembering a couple men in my family who put it all on the line for freedom. Another thing from the past that beats anything today (in my opinion) are the old driver’s watches, made to rotate to the side of your wrist so you can instantly tell the time without looking at a cell phone, moving your eyes to the dashboard, or taking your hand off the steering wheel, or your eyes off the road. Thanks to Watch Doctor Mark Siriani for servicing my pristine 1953 Waltham Pioneer driver’s watch (made in USA). Bow it´s 2018 and the situation is the same…. 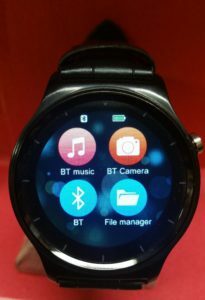 I’m an IT professional and I have not yet seen any use for a smartwatch. When running I have a runners watch, for GPS and pulse…. The only use for a smartwatch I can think of is because where I live, the law say you can’t hold your phone while driving, so a smartphone will do the trick, but who do not have a hands free system in the car in the year of 2018?